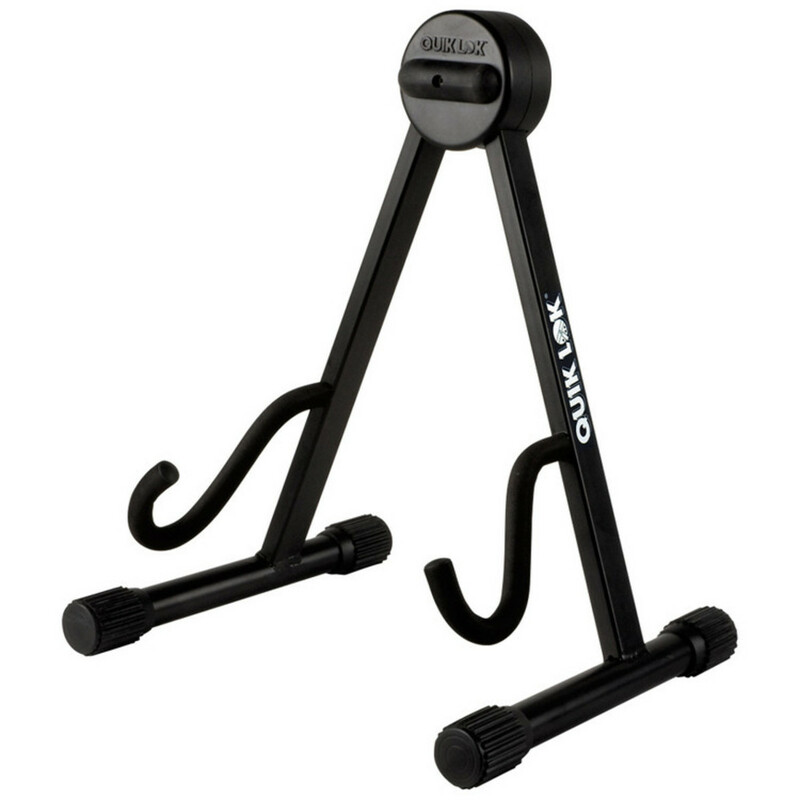 The QL631 is a low "A" frame design, electric guitar stand which has non-slip feet and a durable build to provide safe and secure display for your guitar. The contact points are coated with soft rubber to protect the guitar's finish and the position of the stand is lockable with a lever for extra security. The Quiklok QL631 electric guitar stand is solidly constructed with high-grade steel and arc-welded joints so you can rely on this build for optimum stability. The stand firmly locks in the open position with a gentle press of the spring-loaded lever located in the back of the upper disc. The QL631's soft, rubber cushioning holds electric guitars firmly in place without damaging the finish. This guitar stand also folds flat for easy transportation and storage when needed.